Firefighters tackled a grass fire in Batley this evening (Tuesday). One fire engine from Dewsbury attended the incident at Carr Side Crescent at 5.20pm. 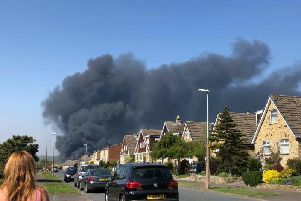 A West Yorkshire Fire and Rescue Service spokesperson said it was thought the fire was started by youths deliberately. The fire, around 30 metres long and 10 metres wide, was extinghuished using wild fire beaters as crews were unable to reach it with water. Firefighters left at around 6.10pm.